Movie rental services have undoubtedly changed the way that people view movies in radical new ways. Drawing in a large share of the movie going audiences who have traditionally gotten their movie fix from theaters and movie houses, services such as Netflix, Blockbuster and Redbox represent the shifting trend in movie viewing. Let's take a look at the most prominent features of each. Blockbuster has traditionally held the edge over other movie providers due to its mail order delivery, which allowed customers to order movies as they wish. Netflix does show signs of catching up with its biggest competitor, with a download model on addition to a mail order service similar to Blockbuster's. While this advantage doesn't account for a significant market lead for Netflix given the relative newness of the technology, it will no doubt become a more significant factor as the model gains momentum. RedBox for its part offers movies from their kiosks. Due to the limited physical space, there are only so many movie titles that they can offer at any one time. Netflix and Blockbuster seem to be neck and neck as far as movie selection goes, with both offering in excess of 100,000 titles at any given time. The sheer number of available flicks means that there is always something that is sure to catch your fancy whenever you drop by. Redbox on the other hand falls way short of the two giants, and most of their selection is comprised of fairly new to brand new releases. This shouldn't be a problem if all you want is the latest Hollywood blockbuster, but fans of the more esoteric will have a lot less to choose from. This is where Blockbuster loses points. The $5 rental price has always been hard to swallow, but the recent move to raise its online prices caused further uproar. Netflix doesn't fare much better in this regard either, with prices that aren't much lower than Blockbuster's. Nevertheless, Netflix is still cheaper than Blockbuster, and with an equivalent selection of movies, more people seem to be drawn to the service. RedBox takes the cake in this department, with the $1 per night fee for new and not-quite-new movies falling in at a comfortable bracket. For most people, the comparatively limited selection is easy enough to disregard given the much lower price of movie rentals. Which is the best DVD Rental Service? Although Blockbuster remains a strong player in the movie rental business, the rental giant is rushing to play catch up as Netflix prospers during a spiraling economy and Redbox enjoys incredible growth to the tune of 15,400 vending kiosks. Time.com had a fun article asking which is the best movie rental deal? I can't see any company surviving without offering a really nice selection of streaming videos on demand. Obviously, Netflix is the best. They are ahead of competetion. Agree. Netflix is the winner. Agree. Netflix beats the competetion. However, they are not releasing movies as soon as DVD is released. Sometimes, we need to wait a month. Then it would be in the annoying queue for weeks(sometimes months). Blockbuster will never interfere with my life, i had a history of paying them even for some minutes delays. that is out of question. Netflix is my current provider but i have issues as that queue is not working properly, it's more like a corrupt queue, doesn't follow the usual rules. they should call it a favoritism queue. Redbox- i am trying it starting today. they do have good movies and i am thinking to cancel my 6 dvds subscription to Netflix and rent from redbox instead. at least i will be watching what i'd like and not what they want to send to me. 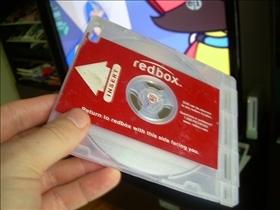 if redbox will not have it, i will not pay for it. i have plenty of redbox around me, it makes sense. Here's the difference. You wait longer for netflix new releases, they charge you extra for blu ray, and now they are higher than blockbuster. Blockbuster has new releases before netflix gets them, their only down fall, they don't have the instant streaming like netflix as a combined package deal. Blockbuster streams, just another service, all in all as of right now, blockbuster has a better bang for your buck. Plus they can stream to your phone, netflix can't. Then why do I have a netflix application on my phone? New to the comparison is the Blockbuster Movie Pass. My employer, DISH Network, launched it last month and it so far takes the cake. It offers video game rentals, streaming to TV and PC, and thousands of movies and TV shows available on DVD and Blu-ray disc. The best part is it only costs $10 a month and if you do not feel like waiting for a disc to be mailed to you, there is the option of going down to a Blockbuster location to swap it out for another. Now for the cherry on top, Blockbuster gets new releases 28 days before Netflix and Redbox. I would say things certainly point to the Blockbuster Movie Pass as the best option. blockbuster streaming is not inclusive in the package. too expensive per view on streaming. 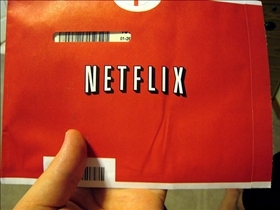 netflix is the obvious choice for their streaming. why not just buy $7.99 streaming package? instant movies no waiting for the mail.